CES is arguably the biggest consumer technology show in the United States and, possibly, the world. Its vastness is so overwhelming that it would take a few weeks to get through and see everything. While we didn’t get to see everything, we did get to see enough. Keep in mind, this Best of CES 2019 list is based on what we saw at the show and what we thought were stand-out or cool technology products. There’s so much here that we could probably make a mega-list of products that would take a week to put together. We’re not going to exhaust your eyes with a hundred different products. No, we narrowed them down to about fifteen, and we hope you like them as much as we did. Without further ado, here’s our Best of CES 2019! We’re kicking off the Best of CES 2019 list with my obvious choice from Samsung. The Samsung 98″ 8K QLED TV. This is an absolute behemoth of a television, and it is incredibly beautiful as well. Earlier, when LG announced their 88″ 8K OLED TV we initially thought LG had the upper hand in large 8K TVs, but then Samsung pulled this out of their hat and it simply thrilled us. While the argument can be made that there’s not much (if any) 8K content in existence to be viewed on this panel, Samsung has a bit of AI working under the hood here. This new AI algorithm is able to take 4K, 1080p, 720p, and even 480p and upscale it to look amazingly robust on this panel. 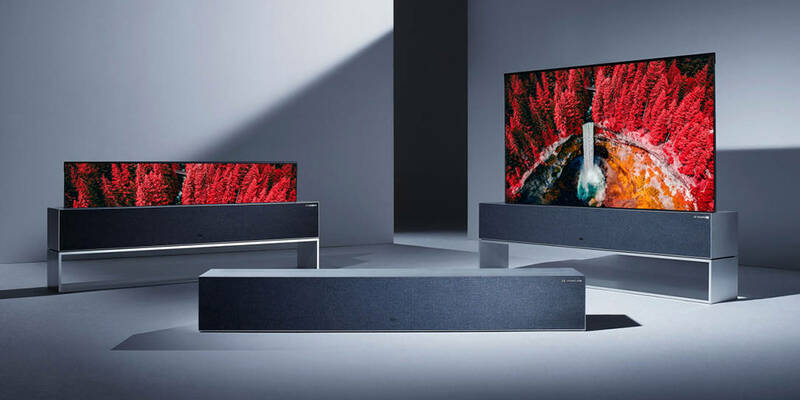 There are studies that show sales of 8K TVs will be pretty good in 2019 and tick upward in 2020. Pricing and availability of the 98″ 8K QLED TV has yet to be announced. The 85″ 8K hovers right at US$15K, so expect this puppy to reach Honda Accord prices. Probably not something most users will be buying, but really an amazing TV. 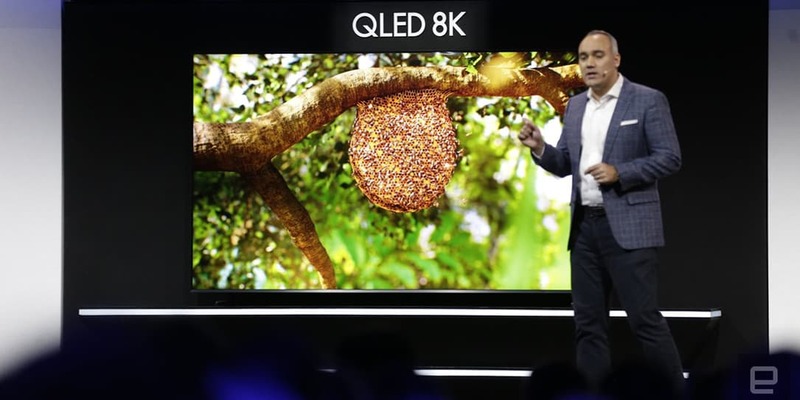 What do you think of the Samsung 98″ 8K QLED TV introduced at CES 2019? The LG TV R9 lands on our Best of CES 2019 list for obvious reasons, it’s freaking awesome. While I will admit that this TV is probably more than the average consumer will buy, it’s the engineering that earns it a spot on this list. And while most of us will never buy this TV, the sheer wonder of the device is enough to make us all want it. The LG TV R9 is a rollable OLED display and soundbar all-in-one. The TV portion rolls into the cabinet that houses the soundbar. This allows users to have a clean look in the room of their choice. The display is 4K and adds in deep learning AI as well as Dolby Vision. It’s truly a thing to marvel at. The LG TV R9 is coming later this year but pricing has not been announced. What do you think of the LG TV R9 rollable OLED TV from LG? Creator devices are getting a big push in 2019 and the Lenovo Yoga A940 lands on the Best of CES 2019 for its versatility. The A940 is Lenovo’s answer to the Microsoft Surface Studio. The design of the A940 takes into account the needs of creators. With an articulating screen which allows for multiple angles needed by artists, it really delivers. The Lenovo Precision Dial is used to seamlessly select or adjust features like brush stroke, tip size, opacity, and flow rate without ever putting the pen down. Other nice features include a Qi wireless charging pad for your phone, a nesting spot for your keyboard, and the Dial is ambidextrous. Left- handed or right handed, you’ll be very comfortable with this device. Time to watch that video project you’ve been working on? Experience it on the Yoga A940’s Dolby Vision-enabled, 4K wide-angle display with stunning brightness, contrast, color, and detail, which are boosted by Dolby Atmos Speaker System for rich, moving audio through speakers custom designed and tuned by Dolby. 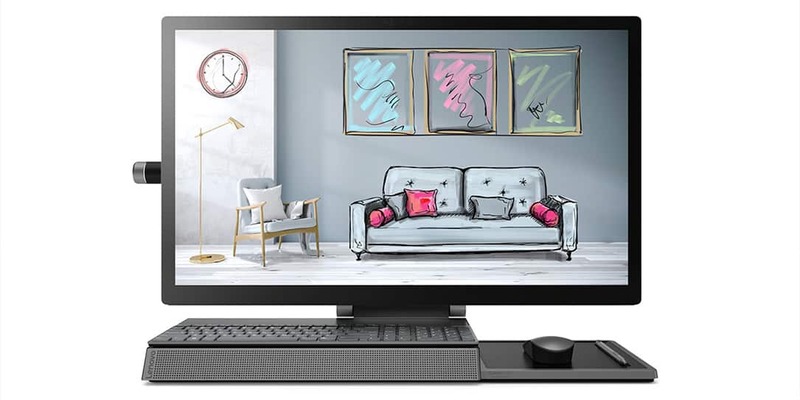 In addition to its built-in front-facing speakers, the Yoga A940 features a second set of speakers under the rotating display to ensure powerful sound even in drafting mode. The Yoga A940 also comes with a range of Lenovo Smart Assist1 AI-enabled features for greater productivity and privacy. Pricing starts at US$2,349.99 and availability in March of this year. What do you think of the Lenovo Yoga A940? Dell has been doing some great things over the past few years. There was a time many people would avoid a Dell purchase but you should really consider them again. The Dell Latitude 7400 2-in-1 is one of those laptops I think many will love and it snags a spot on the Best of CES 2019 list. Dell says this laptop has “drop hinge” technology which enables the largest screen possible in a smaller, more compact chassis. The four-sided narrow bezel is 25% thinner than the Latitude 7390 which is pretty impressive. 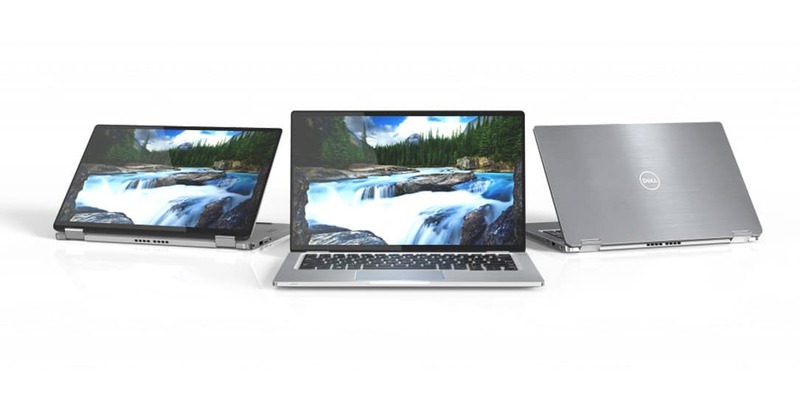 Dell claims this is the world’s smallest 14″ commercial 2-in-1 and still houses a 14″ display. From antennae design and placement, to a complete re-think of the thermal solution using a new GORE material infused with the same aerogel used on NASA’s stardust probe, the Latitude 7400 2-in-1 pushes innovation boundaries on every front for maximum capability and performance in the smallest package possible, and does so with a starting weight of just 2.99lbs. For security, Dell offers the exclusive Dell ControlVault 3 option for hardware multi-factor authentication. This is a great looking laptop with a small footprint and 14″ display. You can configure and pre-order one now on Dell’s website with pricing starting at US$1,599. What do you think of the Dell Latitude 7400 2-in-1? Along with blood pressure and heart rate monitoring, the three-in-one device measures ECG used to identify atrial fibrillation (AFib), a serious form of irregular heart rhythm that can lead to heart failure, fatigue and shortness of breath and is a major risk for stroke. 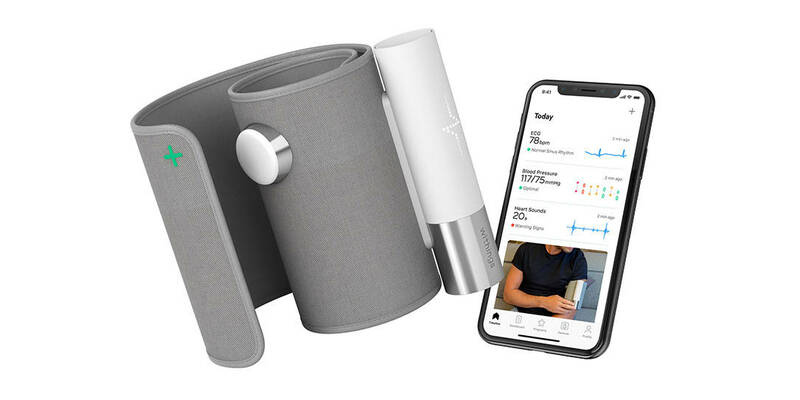 In addition, its digital stethoscope can provide early detection of valvular heart disease, characterized by damage to one of the four heart valves that may require surgical intervention. People with high blood pressure are also at risk from both valvular damage and AFib as multiple clinical studies found strong correlations between the three states. 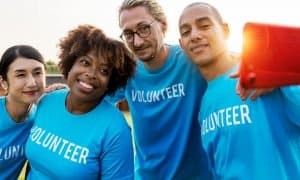 However, AFib and valvular diseases are often underdiagnosed because symptoms are not continuous and may be easily missed if they do not occur during infrequent visits to the doctor. The ability to monitor all three conditions in one device is a game changer. The m15 and m17 are now available with NIVIDIA GeForce RTX 20 Series GPUs in addition to 8th-gen Intel Core i5 and i7 processors. The NVIDIA GeForce RTX 2080 Max-Q Series GPUs bring advanced gaming features which include real-time ray tracing, programmable shading, and AI (artificial intelligence) to gaming notebooks. So why not the Alienware Area-51m as a Best of CES 2019? Why pick the m15 for the bes gaming laptop? Well, we loved the Area-51m, but we awarded Best of for the pricing of the m15. The m15 will be available at the end of January with a starting price of US$1,579.99. What do you think of the Alienware M15? 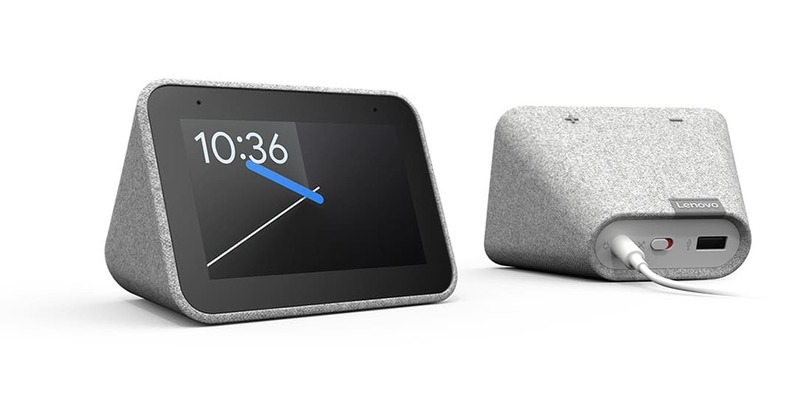 Lenovo and Google have unveiled the Lenovo Smart Clock with Google Assistant, the latest addition to Lenovo’s innovative smart living product line. Purpose-made for your bedroom, the Lenovo Smart Clock helps you unwind in the evening, kick start your day, control your smart home and listen to your favorite music with multi-room audio grouping. This was a no-brainer addition to our Best of CES 2019 list. As the latest device in Lenovo’s smart home family, the Lenovo Smart Clock adds to an ever-growing line-up that now includes the highly acclaimed Lenovo Smart Display and the Lenovo Smart Home Essentials. Introduced last year, it bolsters Lenovo’s continued commitment to making families’ lives easier and more productive. As a convenient smart home device, the Lenovo Smart Clock supports voice and touch controls on an unobtrusive four-inch IPS screen to perform tasks that are regularly carried out before and after sleep. With its compact size built for sitting on nightstands, the Lenovo Smart Clock blends into your bedroom decor, with a full fabric soft-touch cover and a touchscreen. In keeping with the desire for more uninterrupted sleep, Lenovo made the Lenovo Smart Clock to be as unobtrusive as possible. And because they respect customer privacy, they’ve included a mute button for those who want the Lenovo Smart Clock to stop listening. You won’t even notice it’s there most of the time — the 4-inch screen will only call attention when needed, so there are limited distractions. When not in use, the screen showcases the time with multiple customizable clock faces. The Lenovo Smart Clock will be available this Spring and pricing is US$79.99. What do you think of this Google clock? Samsung Space Monitor leverages its sleek design and functionality to allow users to focus on what’s on the screen and not what’s around it. Its unique built-in space-saving solution, a minimalist fully-integrated arm, clamps to the desk and frees up desk space for ultimate user productivity. 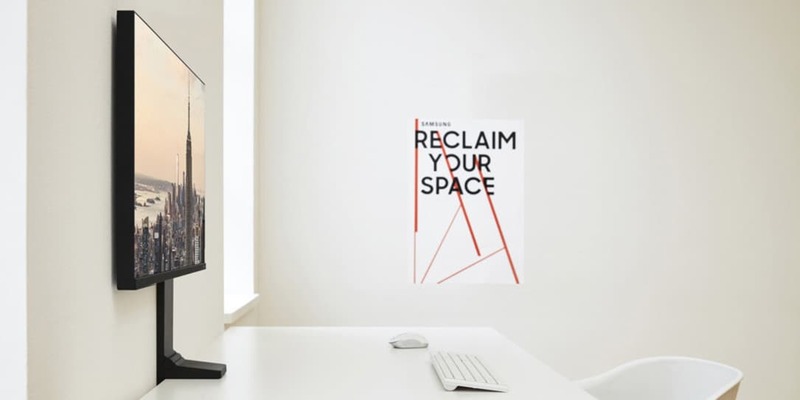 Samsung Space Monitor is easy to set up and adjust when you aren’t using it, and simple to push back and store flat against the wall. Through easy ergonomic adjustment, port access and a discreet cable management system, Space Monitor improves the form and function of any workstation or home office. Beyond aesthetics, Space Monitor is a feature-rich, high-performance monitor. The 27-inch model offers QHD resolution for incredibly detailed, pin-sharp images, while the 32-inch model presents content in 4K UHD. It’s because of this and more that it made the Best of CES 2019. Space Monitor gives users a unique arm stand, which can disappear into the back of the monitor’s slim-bezel. When using the stand, Space Monitor can be easily tilted or extended from the wall. It can also be lowered to the desk surface, and Samsung’s Zero Height Adjustable Stand feature provides the ultimate versatility for any type of viewing preference. The stand not only makes viewing more comfortable but also eliminates the hassle of cable management by integrating power and HDMI cords through the arm for a clean, flexible look. The Space Monitor is available now for US$399.99 on Samsung’s website. What do you think of this monitor? The GRYPHON home router is another Best of CES 2019 and a great choice for those looking for granular parental controls of their network. With the GRYPHON you can manage and protect your kid’s online activities with GRYPHON’s smartphone app. The app includes content filtering, view browsing history, set bedtimes, set homework times, limit screen time, enforce safe search, safe YouTube, and even pause the internet. 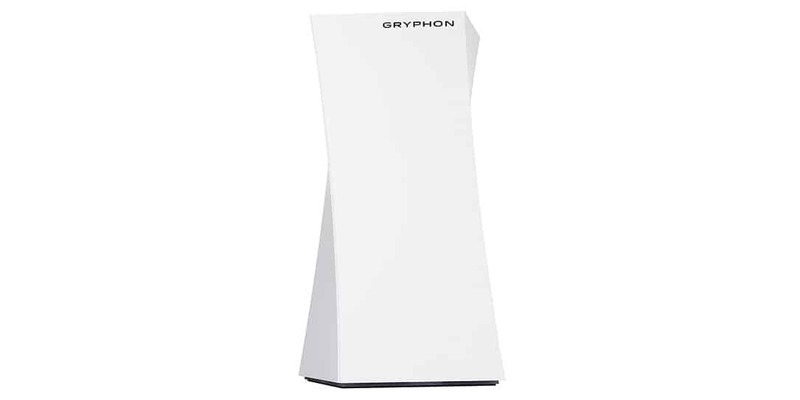 The GRYPHON is a mesh network system so you can expand its range and capability. Stream content, play games online, download files, browse the web, all simultaneously with 6 high powered antennas, 4×4 MU-MIMO, Antenna Beamforming, 3Gbps fast throughput, Tri-Band Radio, 802.11bgn & AC3000, 2.4GHz & 5GHz. You will need another unit to take advantage of mesh. You can pick the GRYPHON up on Amazon now for $219.99USD which is $30 off the MSRP! What do you think of the GRYPHON router? The Netatmo video doorbell lands on our Best of CES 2019 list but not because of its video functions. I mean, there are plenty of other companies doing video doorbells. The Netatmo stands out because it has onboard local storage capability allowing you to save your instances without needing a cloud account. That’s right, no monthly fees for a storage service when you have storage right on the device. You can even store your instances on your Dropbox or FTP server. All the other functions are basically the same as other brands. There’s an app to answer doorbell rings and you can monitor your front area through the app. The local storage option is probably the most appealing thing about this IoT device. Pricing and availability have yet to be announced. 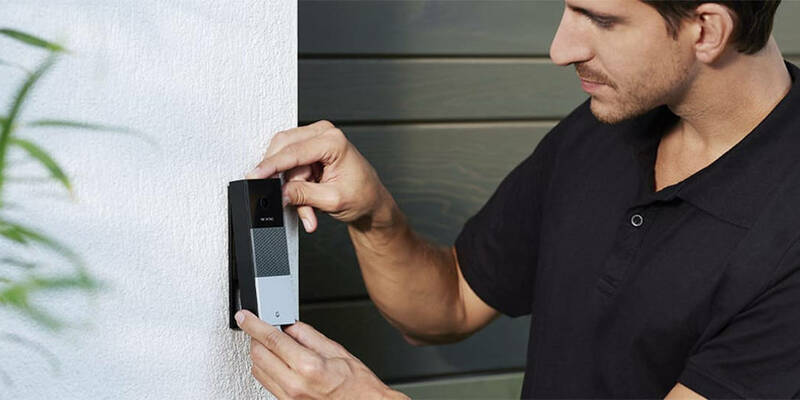 What do you think of the Netatmo video doorbell? No matter how much we try to keep Android tablets down, they keep coming right back up. This time they’re literally standing up. Lenovo has just announced the brand new Smart Tab P10 and the Smart Tab M10 with Amazon Alexa. Both of these tablets are Android-based and convert from a tablet to a smart screen with the Lenovo Smart Dock. But it’s the more premium P10 that made the Best of CES 2019 list. It’s a must-have for young families and households and is remarkably simple to set up. 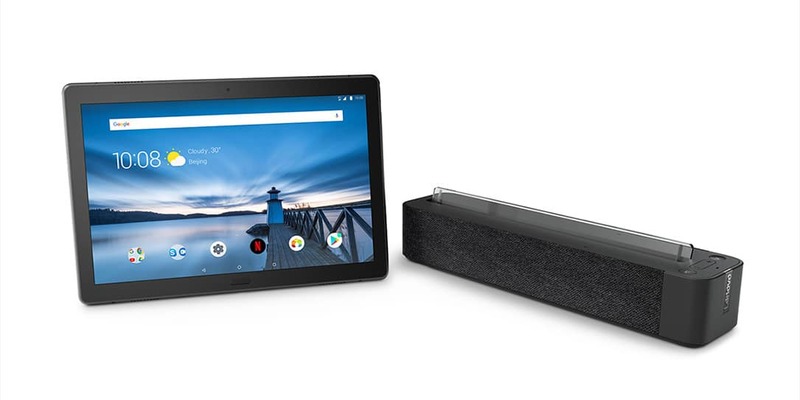 Place the Lenovo Smart Tab into the complimentary Lenovo Smart Dock, and the table transforms into a “Show Mode” smart screen device, with full-screen visuals and crisp, room-filling sound that compliment Alexa’s responses from nearly anywhere in the room. With Lenovo Smart Tabs, households now have access to a fully-featured Android tablet that doubles as a hub for your smart home devices. That makes this new 2-in-1 tablet plus smart dock much more than the sum of its parts, opening up new and exciting ways to make households easier to manage. The Lenovo P10 with Alexa is priced at US$299 and will be available later this month. What do you think of this tablet and smart screen? We covered the Phyn water leak detector back in 2018 and gave it a Best of CES 2018. Well, Phyn is back with major improvements to the system and, because of that, they’ve won a Best of CES 2019. 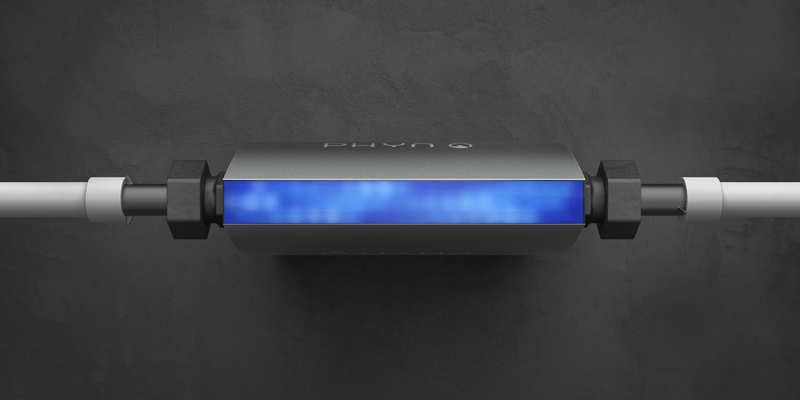 While there are other similar devices on the market that do a good job, Phyn takes it a step above with a more granular data gathering algorithm. This allows the device to nearly pinpoint any water issues in your system. Additionally, Phyn Plus is expanding its smart home capabilities by integrating with Amazon Alexa. Homeowners can now ask Alexa to provide updates on their water consumption and even turn their water on and off (through Phyn Plus’ shutoff valve) using voice commands. Integration with Google Home will be available in Q2 2019. The Phyn Plus is available now for US$850. What do you think of this water leak detector system? 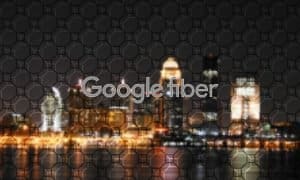 Network power users include gamers, IoT users, and anyone who uses a lot of bandwidth with multiple devices connected. The D-Link EXO-AC300 makes the Best of CES 2019 list because it’s made for power users. 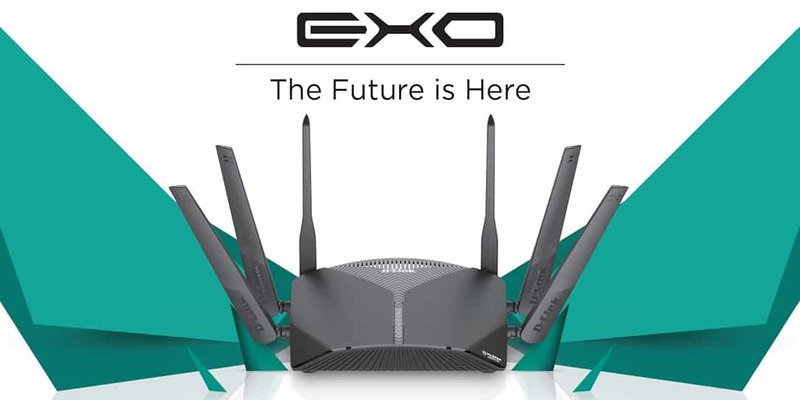 D-Link’s EXO mesh-enabled smart Wi-Fi routers bring the integrated D-Link security suite and mesh expandability to the traditional router format. Each router features McAfee’s cloud-based, machine learning-enabled network defense. The software guards every connected device from viruses, malware, and phishing, continuously updating its database against new threats as they’re identified. Together with voice control from Google Assistant and Alexa, you can find the perfect Wi-Fi solution for your home and add it to your D-Link ecosystem for seamless Wi-Fi and added security. Pricing and availability have not been announced but we believe this will be well worth your money. What do you think of the D-Link EXO-AC300? Time for something out of the ordinary and probably my favorite Best of CES 2019 item on this list. The Soundbrenner Core is a 4-in-1 smart music tool. 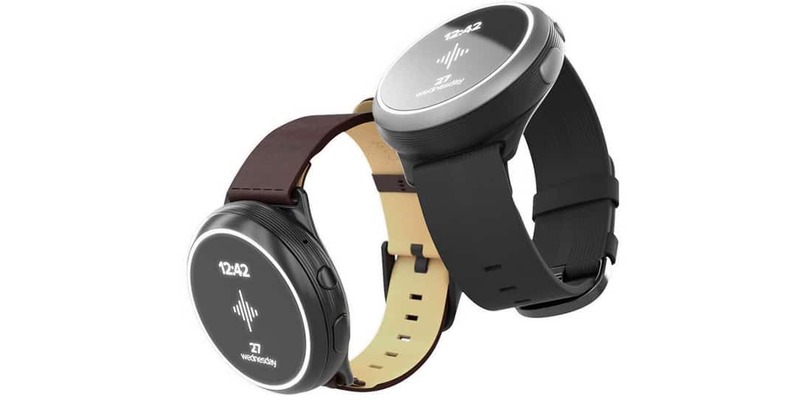 It includes a vibrating metronome, magnetic tuner, decibel meter, and watch. The company gave me a demo at CES 2019, and I thought this was a fantastic idea. You can pair multiple Core’s so everyone in the band has a metronome on their wrist which eliminates the need for the annoying click track in your IEM’s. The Soundbrenner Core combines the accuracy of professional music tools with the convenience of wearable technology. Seamlessly integrated with a watch, you will always have your tools with you, whether you’re practicing at home, recording in the studio, or even performing on stage. The Core reimagines what modern-day music tools can do for your musical development. The Soundbrenner Core is currently crowdfunding on Indiegogo for a starting price of US$179. What do you think of this device? Here we are at the end of the Best of CES 2019 list, but that doesn’t mean Lockly is dead last. This smart lock has a lot to offer, and we love a lot of its features. Some of those features include the latest Wi-Fi and Bluetooth technology, 3D fingerprint sensor, secure touchscreen, offline access codes, auto lock, and easy installation. Offered in both bolt and latch editions, Lockly’s line of smart locks is designed to ensure the highest level of security available on the market today. Through your smartphone, control and monitor door access from anywhere in the world and securely control who comes and goes. The patented PIN Genie Technology makes it virtually impossible for someone to use your access code unwillingly. 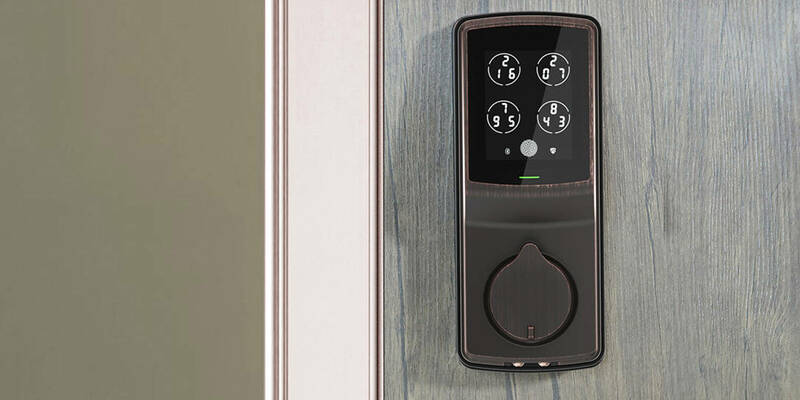 Unlike other static keypads where the numbers are always the same, Lockly ensures that the digital keypad display is unique every time someone approaches your door. Lockly is available now on Amazon for US$249.99. What do you think of this device? There you have our Best of CES 2019. We really wish we had more time to not only browse the entire show, but to give out more awards. There was a lot to see at CES 2019, and our crew could only get to a fraction of it. For now, this is it. 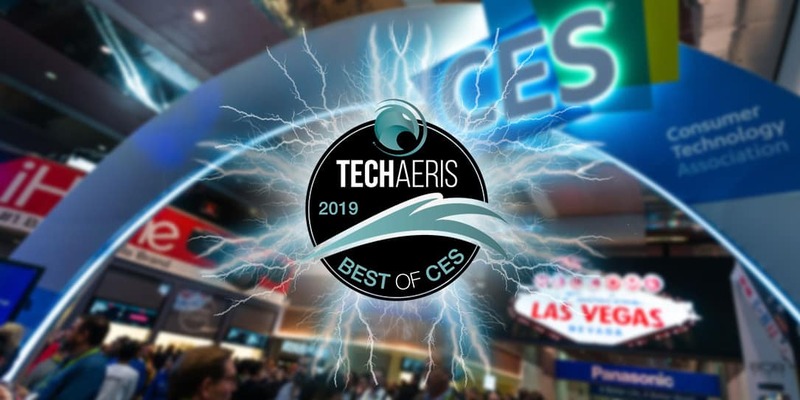 Stay tuned for CES 2020 when we’ll have a new list of Best of CES winners! What do you think of our Best of CES 2019 list? Let us know in the comments below or on Google+, Twitter, or Facebook. You can also comment on our MeWe page by joining the MeWe social network.